Although I have mentioned several times that I lack a sweet tooth which must have fallen out with my baby teeth, I am, nonetheless, a huge cupcake fan. It must have something to do with the manageable size, the moist cake and the heavenly frosting. Out of all the cupcakes in the world, I am a true devoted red velvet with cream cheese frosting lover. 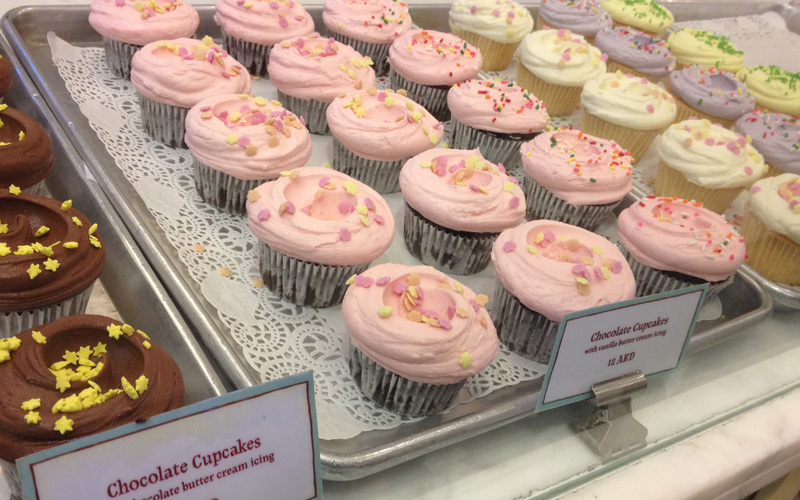 One of my favorite cupcake bakeries, along with Sprinkles (Beverly Hills, California and lots of other locations around the US) is Magnolia Bakery. Whenever I think of Magnolia Bakery, their vintage façade on 401 Bleecker Street in the West Village, New York comes to mind but now Magnolia Bakery has grown quite a bit and they have expanded to the Middle East with locations in Kuwait City, Beirut, Doha and Dubai. It is at the latter where I was able to devour my little red cups of heaven. 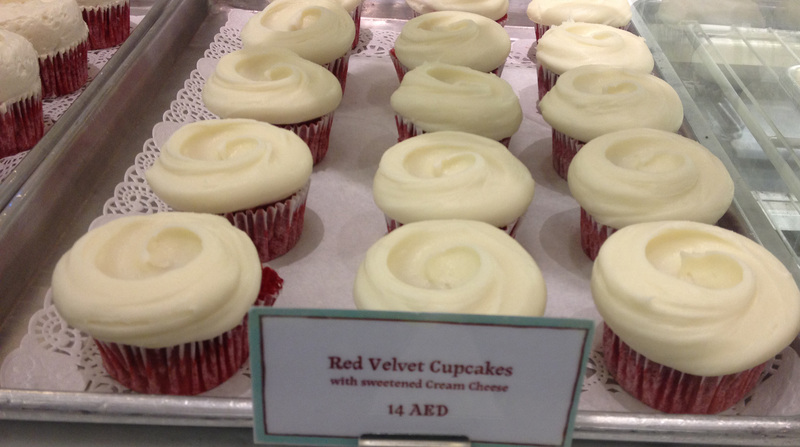 At the Dubai Mall, there is a Magnolia Bakery Corner in the well-known Bloomingdales department store. You can buy the cupcakes to go or there are a few tables where you can munch them down if you can’t wait to take them home. I, of course, munched there! It is no secret that I am a hamburger lover. It must me a mix between the juicy burger, the soft bread, the crisp greens and the creamy sauces that makes me crave those peculiar sandwiches which were actually created at the beginning of the twentieth century and still today there is an ongoing debate as to its birthplace, US or Germany. I guess it is one of those things we will never truly know. I am in the constant quest of finding the perfect hamburger and although I didn’t have the “perfect” burger at Shake Shack, I had a real good one. Shake Shack started off as a hot dog cart in Madison Square Park in Manhattan in 2004 and it has been expanding ever since and in a way it still keeps that hot dog cart feel in the décor. Today you can enjoy a Shake Shack burger in six states in the US, the Middle East, Turkey and coming soon to Covent Garden in London. 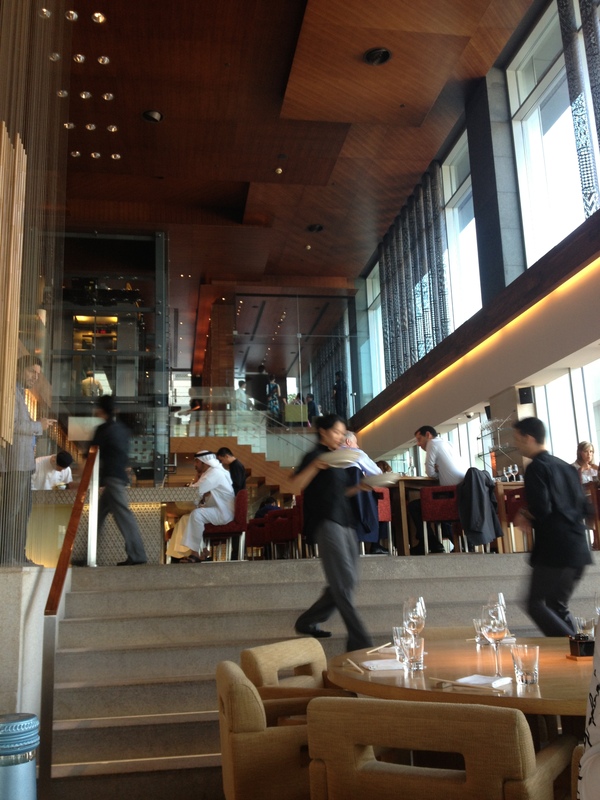 I recently tried their Dubai location in the Emirates Mall. Their menu is pretty straight forward and it cuts your decision making to either burger or hot dog, fries or cheese fries and then there are milk shakes, desserts… I, of course, went for the hamburger and a side order of cheese fries. The meat is extremely tender and juicy and the whole burger blends together just right. I was quite surprised by the cheese fries because beforehand I got the idea the cheese sauce would have your typical store-bought flavor which I normally don’t like. I don’t know what is in that sauce but it was totally addictive. My friends ordered the hot dog which was quite tasty too. 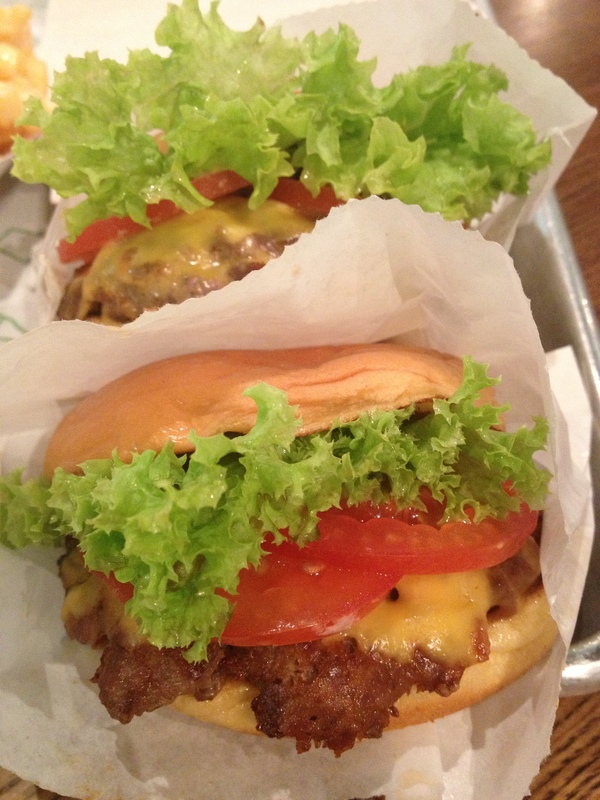 My recommendation; if you ever find yourself shopping at the Emirates Mall, give Shake Shack a try. 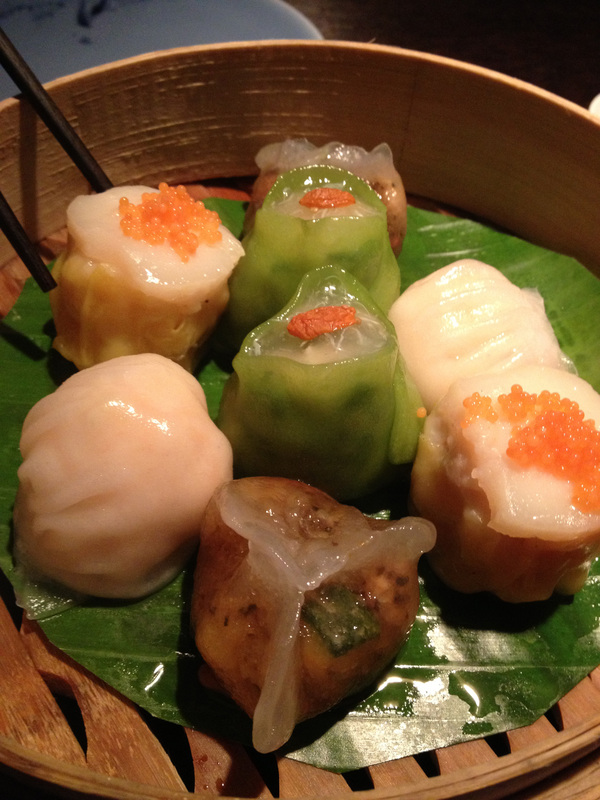 I know that I will definitely try some of their other locations.